The bar chart is simply a column chart rotated 90 degrees right, this makes it great if you have long item names. 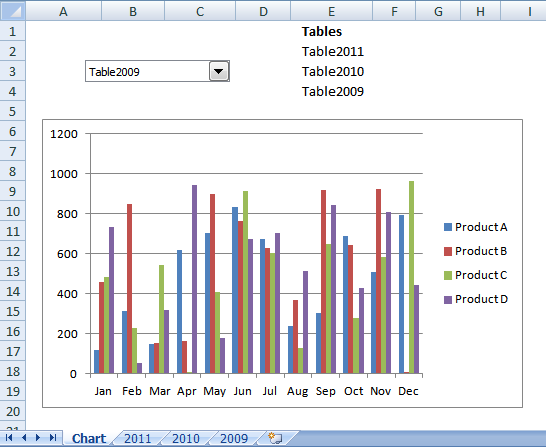 It lets you easily compare values across items and categories making it probably one of the most used charts in Excel. Select the cell range that contains the values you want to chart. 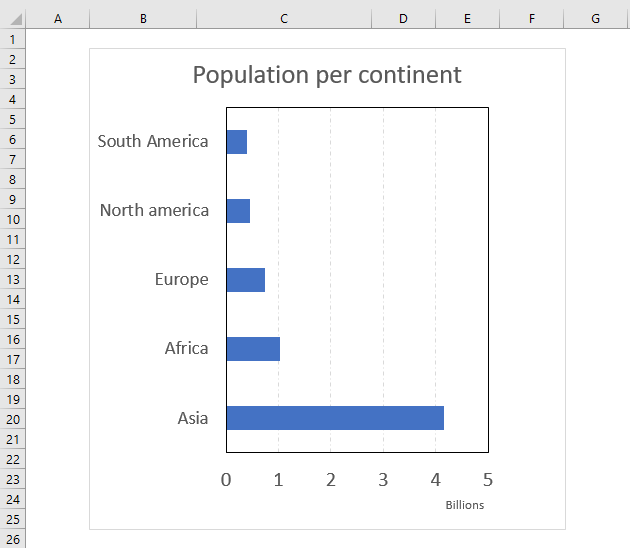 Click the "Column or Bar Chart" button. Click the "Clustered Bar" button. 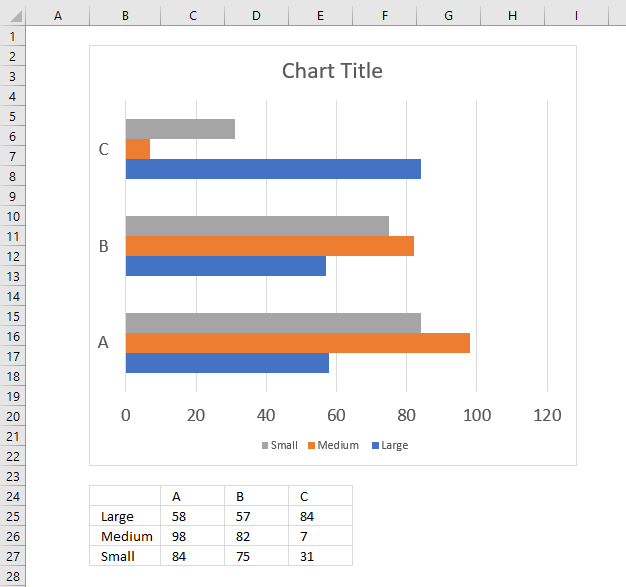 Simply arrange your values as shown in the above image to easily build a bar chart containing values across multiple categories.